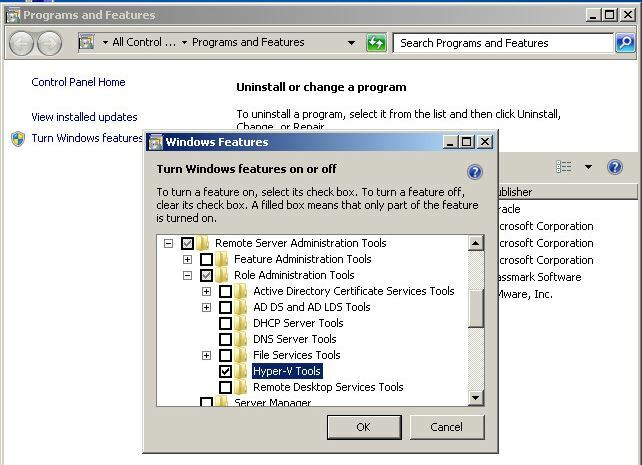 Managing Virtual Machines on Server with Hyper-V role from server manager is an easy task . If you need to take remote access of Hyper-V management snap-in on your desktop, you will need R-SAT tool . 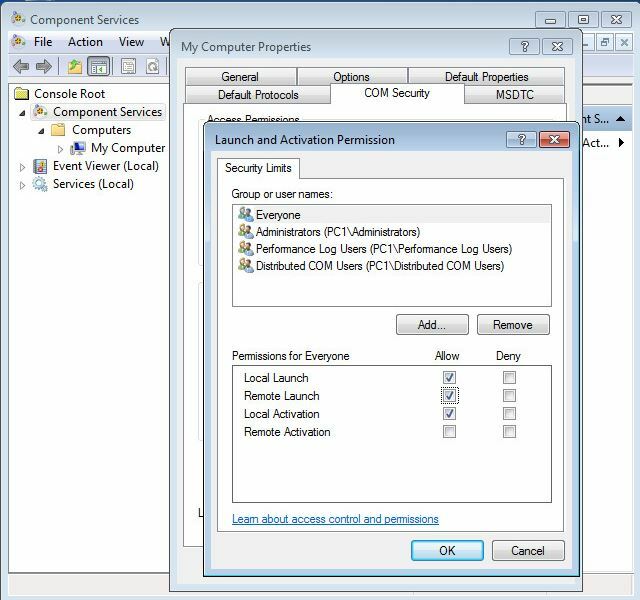 In stallation and configuration of R-SAT tool on the desktop machine will enable remote access of Hyper-V management snap-in. I am using Microsoft Hyper-V Windows 2008 R2 [http://www.microsoft.com/en-us/download/details.aspx?id=3512] for testing ,most of the time configuration will not be much of a difference. NO GUI on core server . You can access these 5 application Task Manager, Notepad , CMD, regedit and iscsicpl.exe [iSCSI console] on core server. Add <IP of Windows 7 Machine> <Hostname of Windows 7 Machine> and save the notepad before closing. 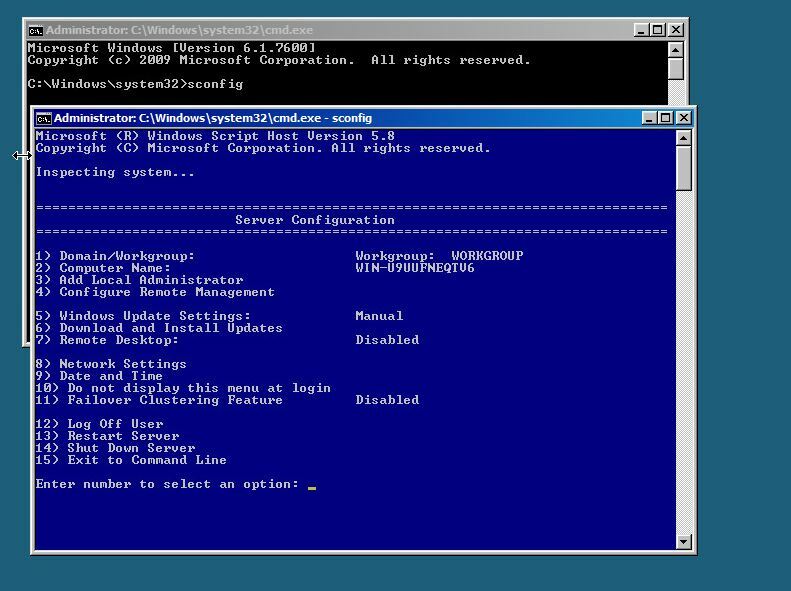 HYPER-V Manager can be configured on Windows 7 [Professional , Enterprise, Ultimate] Editions . Check and verify. Verify same USER_NAME and PASSWORD with administrative privilage is configured on Client machine which is on All Nodes. Add <IP of Node> <Hostname of Node> and save the notepad before closing. 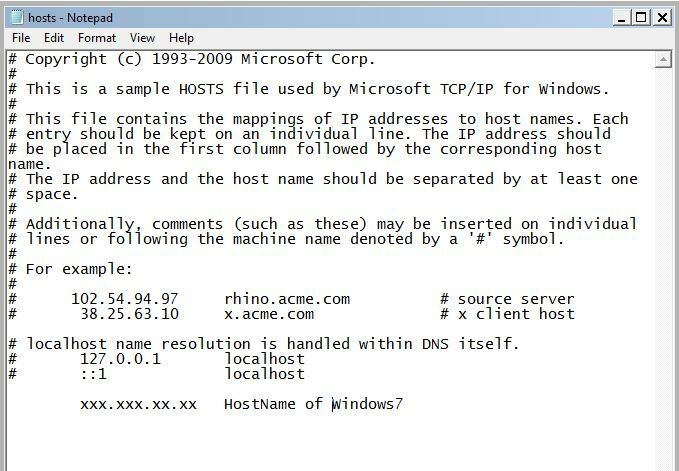 [Please verify by running “hostname” in the command prompt on node. Download and Install the R-SAT [Remote Server Administrative Tools] on the Client machine from above mentioned link. OUTPUT : Updated 6 rule(s). Ok.
Download or Copy HVRemote.wsf file on the Node. 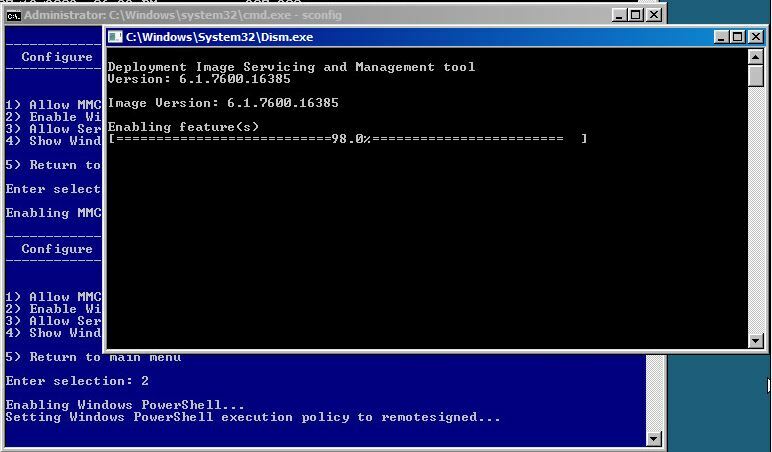 Go to the location of Hvremote.wsf file in the command prompt. Installer encountered an error: 0x80070422. The service cannot be started, either because it is disabled or because it has no enable devices associated with it. FIX : Check windows update service it must be started. Access denied error on the right pane of Hyper-V manager MMC snap-in. FIX : Run dcomcnfg.exe in command promt with administrative previlege and verify Remote launch for everyone should be checked [enabled]. After some time[default 30 days] you start getting access denied error . FIX : Common user on Core server node and desktop password may expires. If the time duration is not a constrain then password may have been changed. You can verify it by taking rdp of the core server with the same credentials.